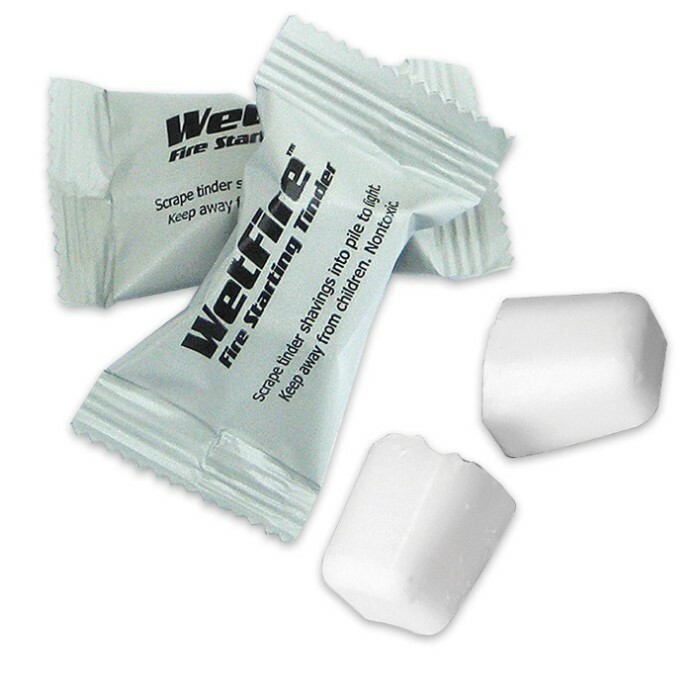 Wetfire Tinder 8 Cubes | BUDK.com - Knives & Swords At The Lowest Prices! 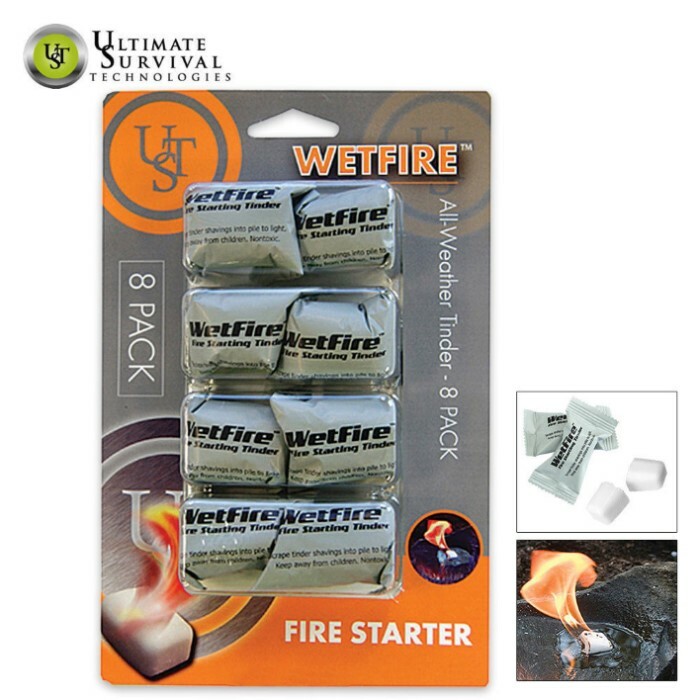 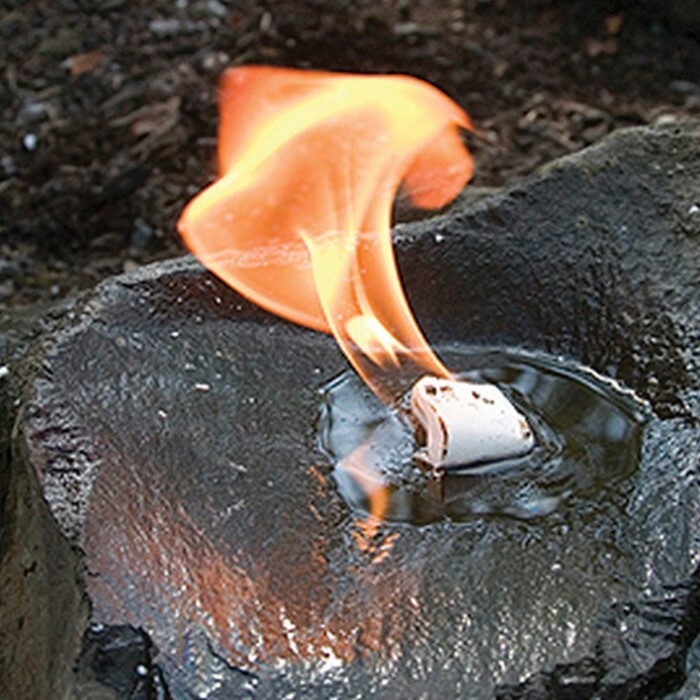 Born from the need for a safe and easy-to-use lighting material for the military, WetFire Tinder Cubes are hands-down the best fire-starting material around. Excellent for fire starting in any weather and at any altitude.